The DuoMo Hotel: a Sound reason To Go To Italy This Summer! Plenty of hotels out there claim they’ll provide an experience that feels “just like home.” Wait – Isn’t the whole point of traveling to get away from home? 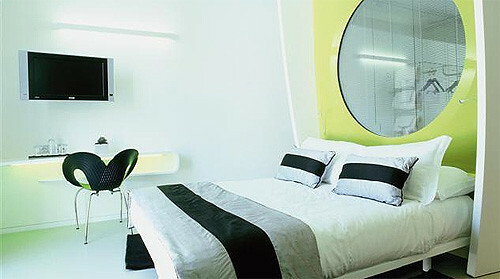 The duoMo Hotel in the seaside town of Rimini, Italy, is just what should be bear in mind. 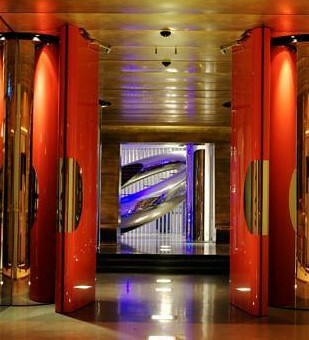 With its futuristic club-like feel, guests get the elevated experience they crave from staying in a hotel, while enjoying all of the amenities that they expect, some of which include flat screen televisions, bathrooms designed with Alessi accents, bike service, and jacuzzi. Multiple gyms (one literally on the beach) and a “wellness festival” add to the relaxation aspect, and sensory meeting spaces add pleasure to professionalism. 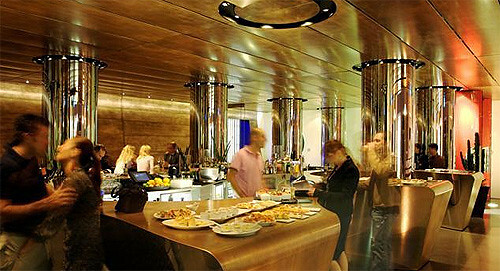 Also take note of the noMi club, where curved steel and metal form the perfect setting to enjoy tapas-style bites. With just 34 rooms and nine suites, it’s large enough yet still maintains a hint of exclusivity. 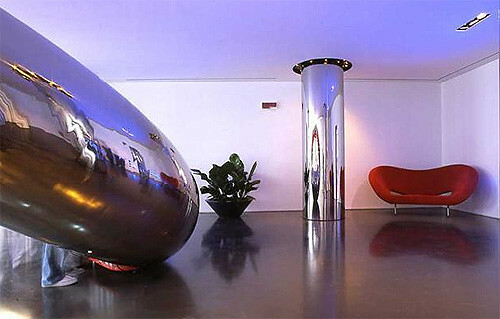 Mirrored steel and amoeba-like furnishings let guests find themselves somewhere between fantasy and reality. The Duomo Hotel’s noMi restaurant has a club vibe of its own. Bedrooms are spacious yet simple, with luxe amenities. 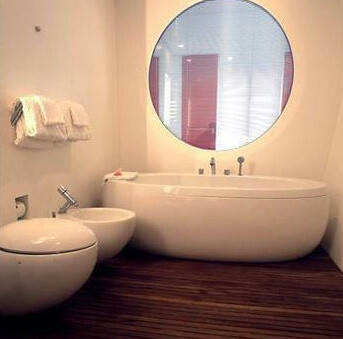 The Duomo Hotel’s bathrooms are a mix of traditional and futuristic design. The entrance transports guests into a dreamy, almost unbelievable world.